With the signing of the Treaty of Paris on the 10th February 1763 Menorca was, once more, under British rule. The population of Menorca took this change of governance in their usual phlegmatic manner, After all they had, for over a thousand years or more, been used to the changes brought about by various attacks and dominations. However the return of the British brought a sigh of relief to the Menorquians. Although throughout the seven years of French occupation there had been enlightenment and much progress in the arts this did not benefit the average worker. During the French occupation many ships from other nations had stopped arriving and trade had stagnated.. The merchants, ship yard and small factory owners who had set up during the British times had either left the Island or closed their businesses. Therefore there was great hardship as many were unemployed. Although successful with the outcome of the war, it had cost Britain dearly and the exchequer was virtually bankrupt. There was financial pressure from all parts in the World where Britain had to defend its territories and in consequence very little money for Menorca. The British Governors were Sir Richard Lyttelton from 1763 to 1766 followed by George Howard from 1766 to 1768 but like so many before them it was the Lieutenant Governor, James Johnston, who carried out the work during these first 5 years. The first priority was to “beef up” the defences especially those of Fort St Felipe, Marlborough Fort and St Filipet at the entrance of the harbour. These had been partly destroyed during the French siege of 1756 and a huge amount of money would be necessary to put them back into reasonable order. George Howard had neither the financial resources, or indeed, the military manpower to carry out more than just a token reconstruction of the most vulnerable parts of the fortresses. In fact this work continued over the course of the following 18 years. Luckily, once again, under British rule regular trade started once more and slowly the employment situation improved. Taxes were able to be levied and with this revenue certain works were able to be started bringing even more employment, Most of the reconstruction works and reinforcement of defences was carried out by the Scottish military engineer Lt Colonel Patrick Mackellar who had been posted back to Menorca after the end of the Seven Years War following a distinguished career as engineer in charge for General Wolfe in Quebec and it was here where he had first served alongside James Murray It is sad that Mackellar, despite a most respected and distinguished career, was never the recipient of honours. 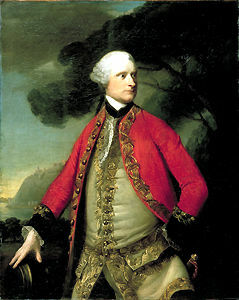 His rapid promotions, however, prove that he was one of the most esteemed military engineers of his generation, and certainly he deserves recognition for his contribution to the British successes in Canada during the final campaigns of the Seven Years’ War. 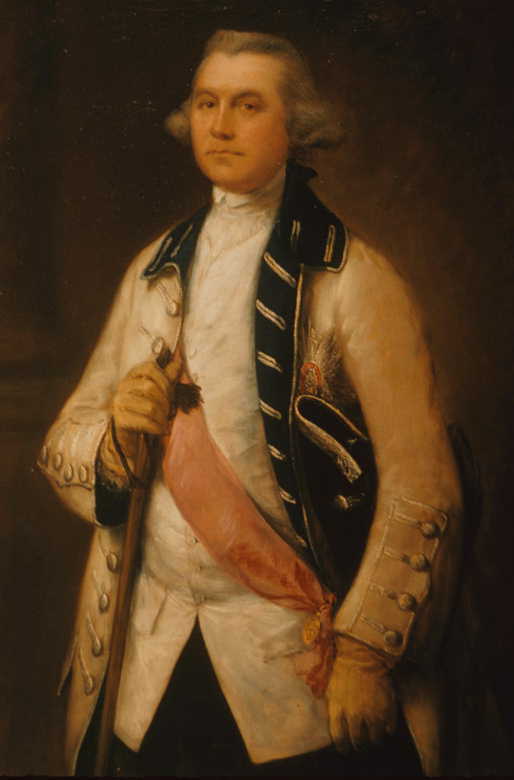 In 1768 John Mostyn took over as Governor of Menorca with, as his Lieutenant Governor, James Murray who remained in post until 1778 when he took over as Governor with Sir William Draper as his Lieutenant Governor, It had been found that during the French siege of 1756 the Arraval or “Phillips Town” which had grown up under the ramparts of the fortress of St Felipe greatly impeded the British cannons firing on the French in a northerly direction. It had also given cover to the French, enabling them to take up positions much closer to the fort. It was therefore decided by James Murray to demolish this area and have built a new garrison town about a mile further up the harbour. It was, therefore, natural that Lt Colonel Mackellar was ordered to design and oversee the building of the new town. Started in 1768 the original barracks, stores and wharfs were situated where today¨s Hamilton Hotel is situated. As King George III was the reigning monarch the town was named Georgetown in his honour. he church of Es Roser (Rosary) was moved once more to the position in which it stands today. It had previously been within St Phillips Fortress and later in the Arraval. Much of the religious and decorative elements in the church today were previously in the originals The town is laid out in a grid pattern with a magnificent parade ground in the centre that is now the town square. In 2002, On the bicentenary of the return of Minorca from Britain to Spain, a plaque was affixed in his memory on a building at the corner of Carrer Gran and Carrer Victori (the main street of Es Castell.) Mahón was greatly expanded in the typical Georgian style of architecture of the era and all this extra construction work brought even more employment to the locals Menorca started to flourish once more but unfortunately the British government took its eye off the ball which, with hindsight, led to disastrous results for the British in 1781 When Spain decided to ally itself to France in 1780 in order to regain territories around the World lost to the British during the 7 years war they saw the possibility to take both Gibraltar and Menorca back by force of arms. Due to lack of finance from the British Government the number of troops stationed on Menorca was totally inadequate for its defence against a determined attack. Therefore as you will see in the next chapter “the walls came tumbling down” and The Golden Era, as it is locally recognised, ends.